On August 2, 1914, the young men of a small French village gathered in the town square in stunned silence to contemplate the General Mobilization order plastered to the door of the town hall. Soon, they will leave everything they know to head to boot camp for training and then, to war. Will their friendship be strong enough to survive it? 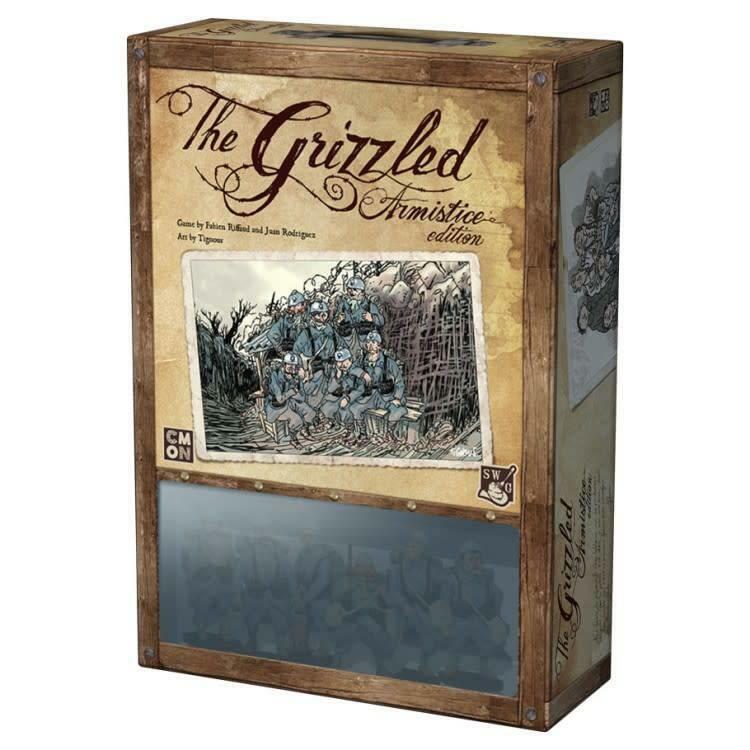 In The Grizzled: Armistice Edition, players take on the role of soldiers facing the Trials and Hard Knocks of the first World War. They work cooperatively across a campaign where they confront the major events of the war. From the introduction scenario of Boot Camp, through the nine different Missions, everything that happens carries forward and affects the next steps of the game. Players will need to make good decisions and support each other if they hope to make it to the end of the war alive.